I find it a bit odd to leap from UFO, or I have no idea what I or others have filmed, to intelligent life on other planets or alien crafts. I've been with people pointing to satellites and saying alien spacecraft. They simply did not know what they were viewing. To them a UFO. To me a satellite. To them UFO was alien craft. To me a man made satellite in circumpolar orbit. You saying that none of the videos were faked means nothing more than you have videos which are not of much use since the object or light spot cannot be identified. If a object was a satellites it is a easy task nowadays to find it and name it with direction time and date UFOs are the ones they can not find on app or internet sites. NOBODY here are saying we are. I do not believe we are alone, but for aliens visiting Earth? No! We have numerous threads on here as to why this has not happened and so far alleged UFO sightings close to the Earth are explainable. Yes, but they are only UFO's to the untrained eye...you have an untrained eye. Er.....you have got the insight on what it is. If you do not want any insight from people who have much more knowledge about what effects can be seen in the sky with use of cameras, effects by the sun, clouds etc etc etc....then you should clarify that you are not interested in what we have to say. Please can you give us the name of the village so we can do our research on the area. If you watch the video it will become clear under show more? is why you even reply to post that you know are going be inconclusive as to what it was,UFOs fall in to the category and i am not going try to change your thinking or any ones it all comes down to ones own belief and not just about Aliens and ufos its in all walks of life they will even find holes in your believe what ever that may be. I think it’s important to reply when there’s an OP like yours; ‘Ok wtf is this thing you see it.’ to describe a linked YouTube video of your own which shows nothing. It was a horrible video. Me replying at least gives other people a bit of a heads up before they dive in. I saw at least 6 faint satellites through binoculars the other night. Why bother identifying any of them? It would not matter to the true believer. Afterwards they'd simply claim I had misidentified the alien craft that was spotted. I do agree with the sum up. We only look for the truth nothing more or less.if we do not know what it was then it is a UFO some replys like yours we get and others who have seen very similar objects,did you think we would dive right in with out doing some home work nope we never do we must close doors as we move on to say its a true unkown object or UFO if you like. All I’m saying is that more accurate thread titles and original posts will help your cause, rather than hinder it. Clickbait thread titles and blatant misrepresentations of what you’ve captured hurts UFOlogy more than helps it. Tim, it is people with no interest in a subject of ufos ghosts paranormal etc that stop people from posting their own experience you know the type the ones who try and take over the board, sometimes with others how sad is that posting on message boards all day and night trying to be some thing they are not a expert, those are the ones that did more harm to ufology ghosts paranormal or any other subject but nowadays people can see who they are and what they are doing,now i am not saying you would waste your time posting on subjects that you have no interest in but you can see where we are coming from. The ones that have done harm to these subjects are not relegated to message boards. You Tube has done more harm to any of these subjects than a message board ever could..Ufology has been severely damaged by hoaxers and others who are out only to make a buck....I could give quite a few examples but I am not going to give those people the enjoyment of a link here. Frankly I think the UFO section of this forum does a pretty good job at weeding out the fake crap and the misidentified objects. The biggest problem I see with Ufology is people need to become educated about what exactly is moving around up there in the skies above us....Take for example Venus its one of the most common objects in the night sky misrepresented as a UFO. Why? Because most people do not know what the hell they are looking at...If Ufology wants any respect out of the science community as a whole those involved in it need to become more educated in subjects other than "I saw it. You gotta believe me." This statement will not fly in the eyes of serious scientific scrutiny. There is nothing wrong with posting this stuff to a message board or even You Tube and you can expect that most are not familiar with astronomy, meteorology etc are going to put this stuff up to get various opinions from others as to what it is they saw. But they haphazardly post this stuff before doing any background investigation into it to see if it was something that can be explained naturally. The world is an interesting place and learning about it is important. Through learning we understand what is happening around us. Let's suppose there really are UFOs that are alien craft. If that is the case then studying such a phenomena would be much simpler if people did not have to wade through all of the garbage of fake reports. After a few dozen videos of Venus people start to think they too are looking at an alien craft when it is planet. Right now that planet is only half lit. 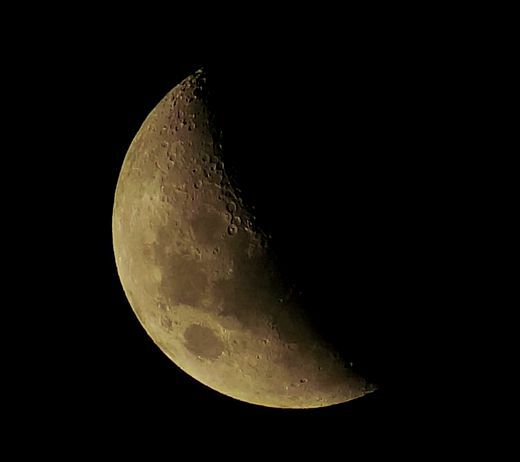 A peek through a telescope would show that it looks like a first quarter moon. That is pretty interesting. Galileo figured out that can only happen if the planet Venus is closer to the Sun than the Earth. Venus and its appearance are interesting. As a UFO subject it is messing up the study of the phenomena. The same holds true for people misreporting things like the Phoenix Lights and other mundane events that have taken on a life of their own.
" it is people with no interest in a subject of ufos ghosts paranormal etc that stop people from posting their own experience " Sentences like that are wrong if all that is happening is people pointing out that events can have mundane explanations despite the beliefs of the observer. Pointing out that a story that is uncorroborated by physical evidence is just a story should be the norm. People need to understand that. 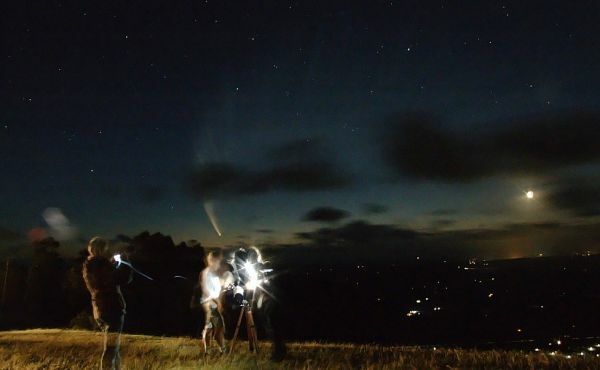 When people assign alien craft to a light i the sky because they want to always do that it needs to be pointed out to them. They are making an assignment of alien when there is no evidence to support that. The same goes for paranormal. A non-alien, non-paranormal, non-magical, non-ghost, etc. explanation is much more likely. John, given your past postings I think it's fair to ask you to explain the content and reasoning behind your video links. Otherwise these seem to be spam... Also, judging by the title images..... may I suggest if you're serious about the hobby, you get some advice on night-time photography skills and .. a more capable camera. As an example and to be specific, I'd suggest, having looked at that Venus image, you need to learn that your camera cannot possibly resolve Venus' disc, learn about 'bokeh', and also realise that your (awful) camera uses a very crude aperture control device that causes those crazy shapes when out of focus (which seems to be always..). This sort of stuff is pretty basic and if you post that sorta stuff thinking that you've discovered something.... well, it's not a good look. Ok wtf is this thing you see it. There is no video, now.